Chia seeds are some of the healthiest foods out there. While they’ve become very popular in recent years, they go way back. Originally from Mexico, these super seeds were first used by its native Aztecs and Mayas dating back as early as 3500 B.C. Chia seeds, praised for their impressive nutritional value and strong medicinal properties, were one of the main foods of the Aztecs. Chia (meaning ‘’strength’’ in Maya) consumption was very popular for energy and endurance. 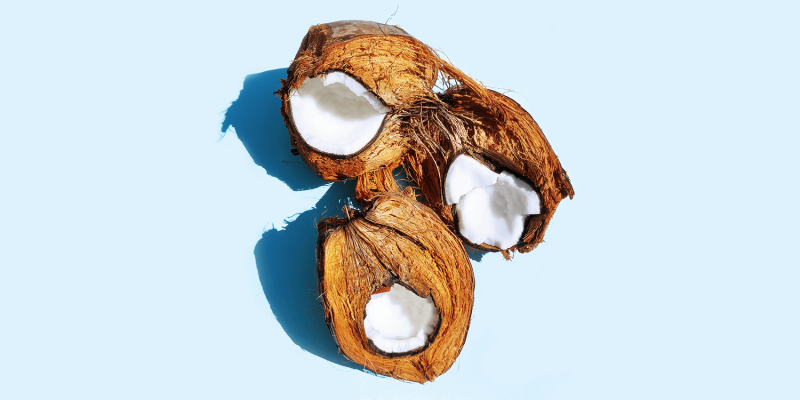 Besides food and medicine, they were also used in sacred ceremonies. Known as “runners’ food” they were used as fuel by long distance runners and warriors during battle. Nowadays chia feeds are especially popular among vegan athletes for these reasons. Chia seeds contain valuable minerals such as calcium, manganese and phosphorus. They are a rich source of antioxidants, omega 3 fatty acids, fiber and protein and also contain several vitamins. Chia seeds are actually one of the most antioxidant-rich foods found in nature.. Antioxidants are essential to our health as they help fight free radicals and aid skin and cell repair. Due to its high fiber content, chia seeds are great for digestion. They support heart-health, muscles, bones and much more. Chia seeds have a very neutral taste, which makes them a versatile ingredient for many dishes. I like to add them to smoothies, fruit salads and desserts. What’s interesting about chia seeds is what happens when you mix them with liquid. After a few minutes, they start to expand and get a gelatinous, slimy texture. If you’re looking for a vegan egg-replacer for baking, chia seeds are an amazing alternative. Take a look at this recipe for healthy cherry bubble cake. Chia seeds are very suitable to prepare plant-based breakfast pudding and many types of desserts. 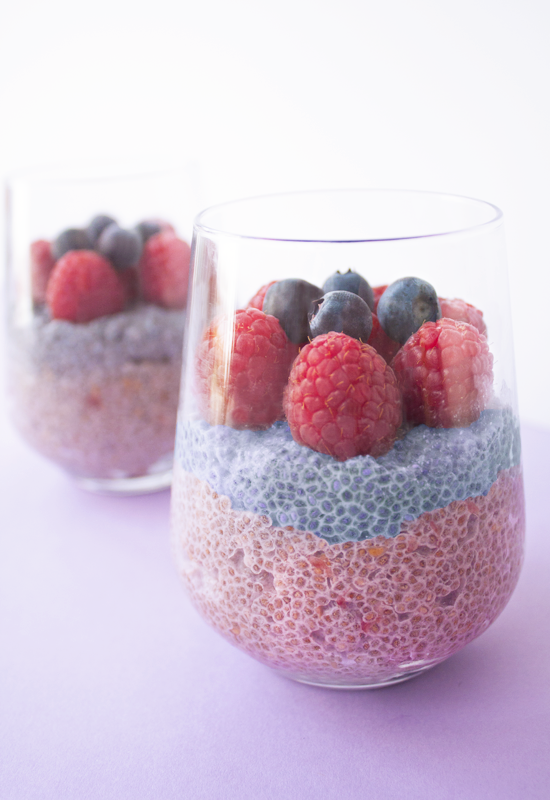 This berry coconut chia pudding is so easy to make and gives you all the energy you need to start your day. Plus it kind of tastes like dessert! I like to prepare this recipe the night before, because soaking the chia seeds maximizes their health benefits. I make the berry coconut chia pudding in the evening before I go to bed and leave it in the fridge until the morning. If you’re in a hurry or hungry -which are solid reasons- you can prepare the chia pudding on the go and will only need to soak the chia seeds for about 15 minutes. 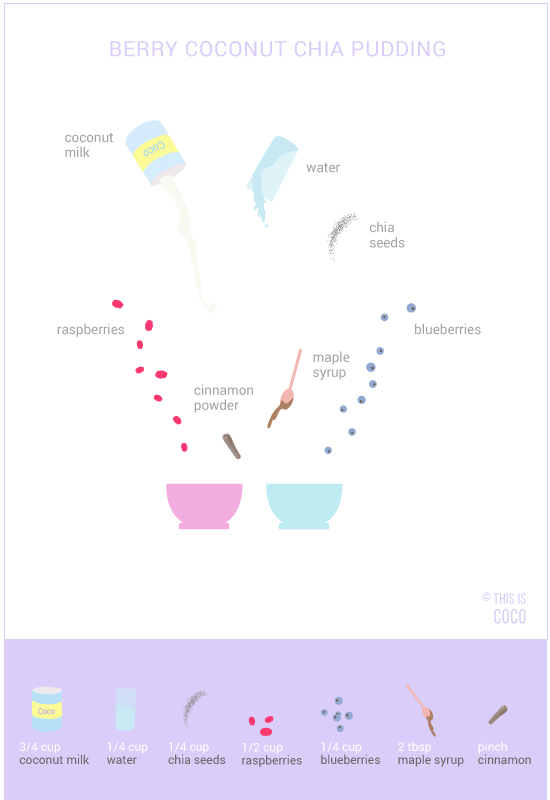 ⋅ Blend and mix the raspberries and the blueberries in two separate bowls with the coconut milk and water. ⋅ I added some butterfly pea tea to the blue berry mixture for more color, but this is optional. ⋅ Add a bit of maple syrup or other sweetener of choice and a dash of cinnamon powder. ⋅ Depending on how much tim you have, let them sit for at least 15 minutes. but preferably overnight. ⋅ Sprinkle some fresh berries over them and some raw chocolate if you like and enjoy!